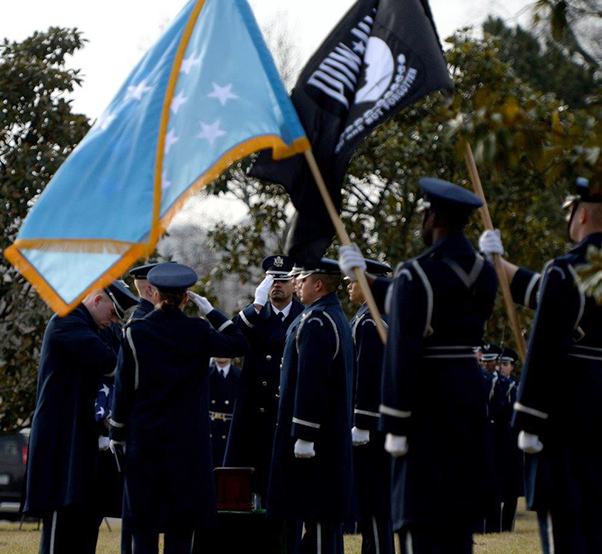 Air Force Vice Chief of Staff Gen. Stephen Wilson presents the American flag to the next of kin during the full honors funeral ceremony for retired Col. Leo Thorsness at Arlington National Cemetery, Arlington, Va., Feb. 14, 2018. Thorsness received the Medal of Honor for his heroic actions during the Vietnam War. 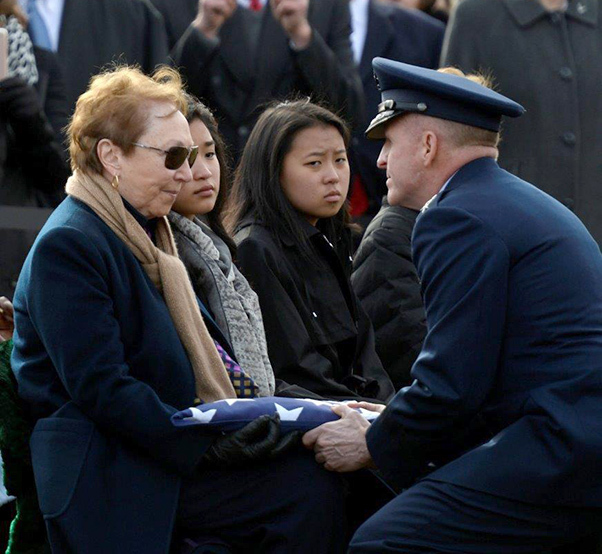 With the support of Air Force senior leaders, his wife, Gaylee, and daughter, Dawn, kept those words close as they said their final goodbye to Thorsness during his interment at Arlington National Cemetery Feb. 14, 2018. Thorsness was awarded the Medal of Honor for his actions on April 19, 1967. That day, Thorsness, an F-105 Thunderchief pilot, was on a surface-to-air missile suppression mission over North Vietnam. According to his citation, the pilot and his wingman attacked and silenced a SAM site with air-to-ground missiles, then destroyed a second SAM site with bombs. 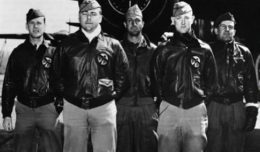 In the attack on the second missile site, Thorsness’ wingman was shot down and the two crewmembers abandoned their aircraft. Thorsness kept the crewmembers in sight while simultaneously destroying an MIG-17 aircraft. Despite being dangerously low on fuel, he went on to deter four more MIGs from the scene while allowing another friendly aircraft to refuel from a nearby tanker, preventing further loss of life and aircraft. “During combat, when faced with life-defying decisions, he thought, ‘If not me, who? 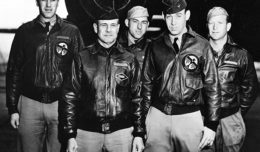 And if not now, when?’ This is what he was thinking during his F-105 Wild Weasel missions, and explains his decisions during the mission for which he received the Medal of Honor,” Dawn said. 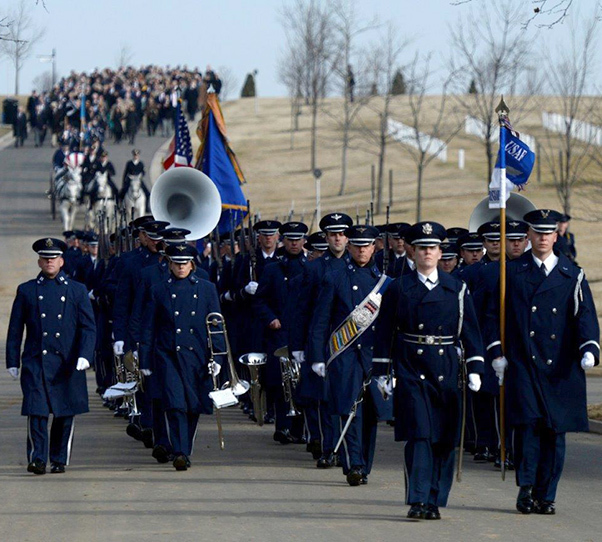 Ceremonial Guardsmen and the Band march toward the gravesite during retired Col. Leo Thorsness’s full honors funeral at Arlington National Cemetery, Arlington, Va., Feb. 14, 2018. Thorsness was a Vietnam Prisoner of War and Medal of Honor recipient. Just 11 days after this mission, Thorsness was shot down and captured by the North Vietnamese. There was an 11-month span where his family didn’t know if he was dead or alive; his daughter was only 11 years old. Back at home, the anti-war movement was gaining momentum, and for many military families, like the Thorsness, it was a difficult time. 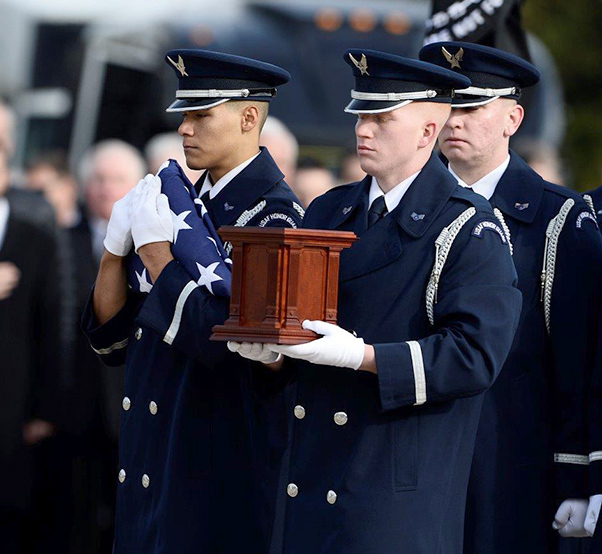 Ceremonial Guardsmen participate in the full honors funeral ceremony for retired Col. Leo Thorsness at Arlington National Cemetery, Arlington, Va., Feb. 14, 2018. Thorsness was a Vietnam prisoner of war and Medal of Honor recipient who served 23 years in the Air Force. Thorsness spent the next six years in captivity at several POW camps including Hanoi Hilton and Heartbreak Hotel. After his release and return home in 1973, he made the conscious effort to often remind people of how daily freedoms can be taken for granted. After 23 years of service and more than 5,000 flying hours, Thorsness retired from defending those freedoms as an Airman and immediately ran for political office. He served as a Washington State Senator from 1988 to 1992 and went on to serve on the board of directors for the Congressional Medal of Honor Foundation. Ceremonial Guardsmen participate in the full honors funeral ceremony for retired Col. Leo Thorsness at Arlington National Cemetery, Arlington, Va., Feb. 14, 2018. 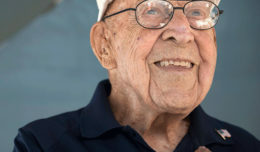 As a civilian, Thorsness fought for the release of information on 30,000 Soldiers listed as either Prisoners of War or missing in action from conflicts dating back to World War II. Though no longer in the Air Force, he continued to serve as an ambassador for service member recognition. Thorsness died May 2, 2017, and at the family’s request, was laid to rest amongst his brothers and sisters in arms. Ceremonial Guardsmen prepare to fire a volley during the full honors funeral ceremony for retired Col. Leo Thorsness at Arlington National Cemetery, Arlington, Va., Feb. 14, 2018. Ceremonial Guardsmen fold the American flag during the full honors funeral ceremony for retired Col. Leo Thorsness at Arlington National Cemetery, Arlington, Va., Feb. 14, 2018. 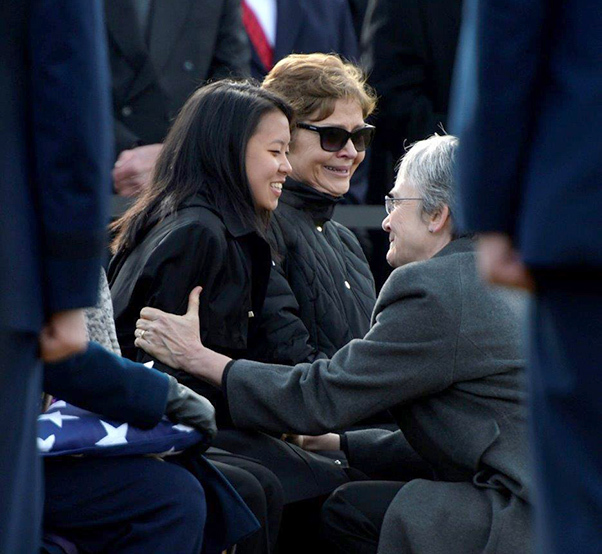 Secretary of the Air Force Heather Wilson greets the next of kin during the full honors funeral ceremony for retired Col. Leo Thorsness at Arlington National Cemetery, Arlington, Va., Feb. 14, 2018. 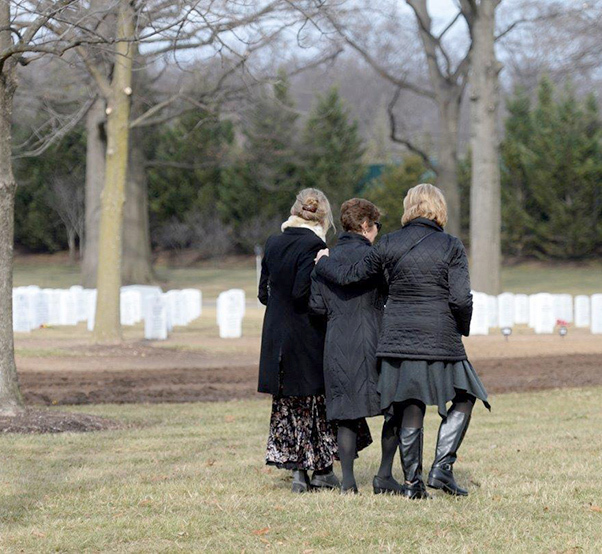 Family and friends pay their final respects to retired Col. Leo Thorsness following his full honors funeral at Arlington National Cemetery, Arlington, Va., Feb. 14, 2018. Ceremonial Guardsmen participate in Col. Leo Thorsness’s full honors funeral at Arlington National Cemetery, Arlington, Va., Feb. 14, 2018. 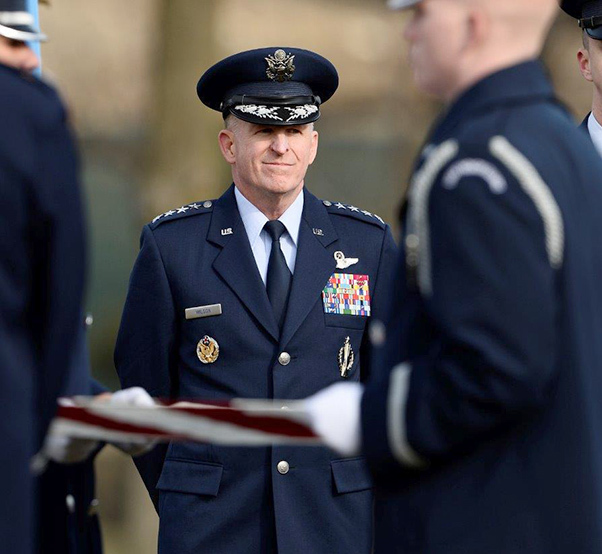 Air Force Vice Chief of Staff Gen. Stephen Wilson watches the full honors funeral ceremony for retired Col. Leo Thorsness at Arlington National Cemetery, Arlington, Va., Feb. 14, 2018. 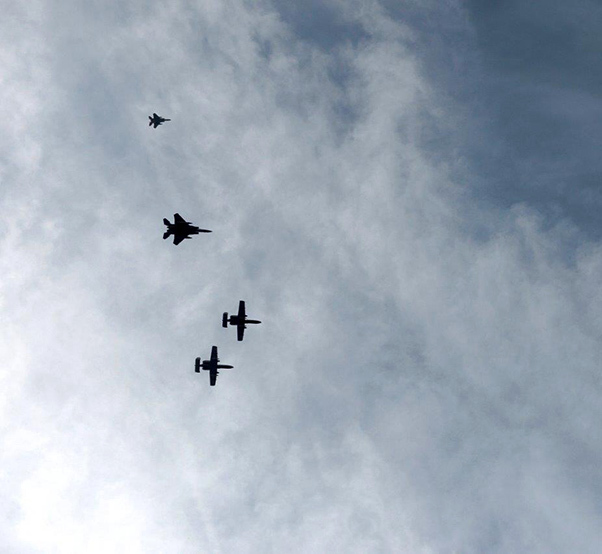 Two A-10 Thunderbolt II aircraft and two F-15 Eagles fly in formation over the full honors funeral for retired Col. Leo Thorsness at Arlington National Cemetery, Arlington, Va., Feb. 14, 2018.